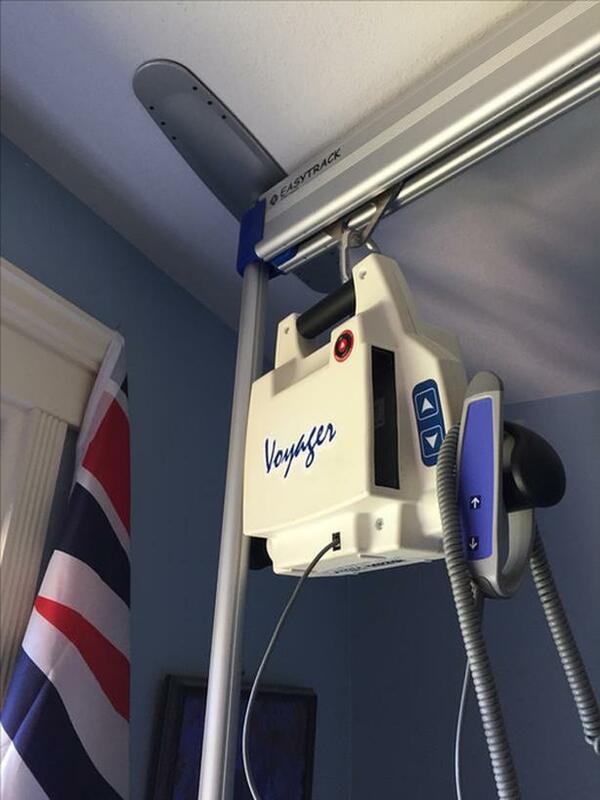 Used Voyager portable ceiling lift with portable overhead track. Easy to set up and works well. Slings included.